1. Purchase an oriental rug. Oriental rugs are great as an accent piece for any room that has an Asian-inspired theme. They can easily be placed over a wooden floor, which is another oriental feature. 2. Paint your walls red. This color symbolizes good luck in Chinese and Japanese culture. It is also said that red will ward away evil. 3. 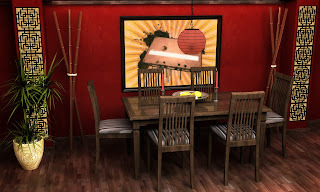 If you don’t like the idea of red walls, try out wallpaper with an oriental pattern instead. 4. Use wooden furniture. A wooden table and chairs gives your oriental-themed room a more authentic feel. 5. Decorate with plants. Bamboo is the perfect plant to decorate with, because it is a crucial part of South Asia, Southeast Asia and East Asia. Place bamboo in oriental-style pottery and you are good to go. 6. Use Japanese lanterns instead of traditional lamp shades. 7. 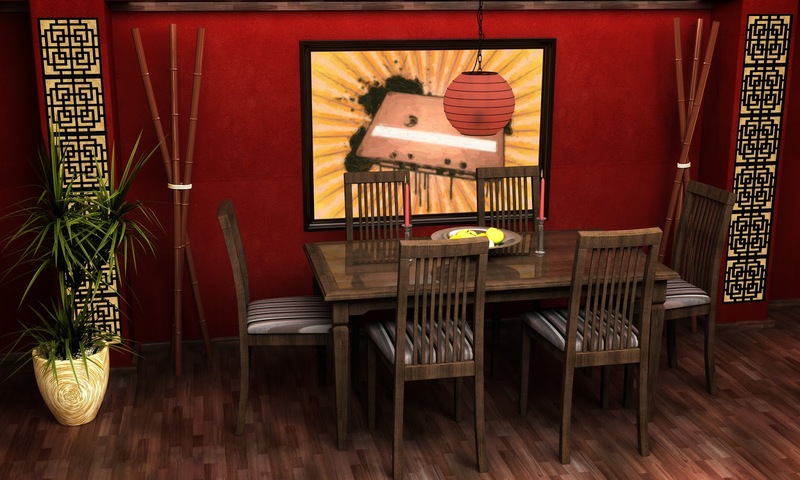 Any décor with Chinese symbols will add an oriental touch, such as panels or posters. 8. Asian chinaware can add an element of the orient if situated on a table or bureau. 9. For elegant room separation, try out an oriental divider. At the very least, it can prove to be a great signature piece. 10. If you are in need of subtle oriental inspirations, try to find furniture such as cabinets or drawers with a calligraphy pattern. These are just ten ideas for creating an oriental look for your house. By starting with an oriental rug or other accentuating piece, you will have a room full of tranquility in no time.